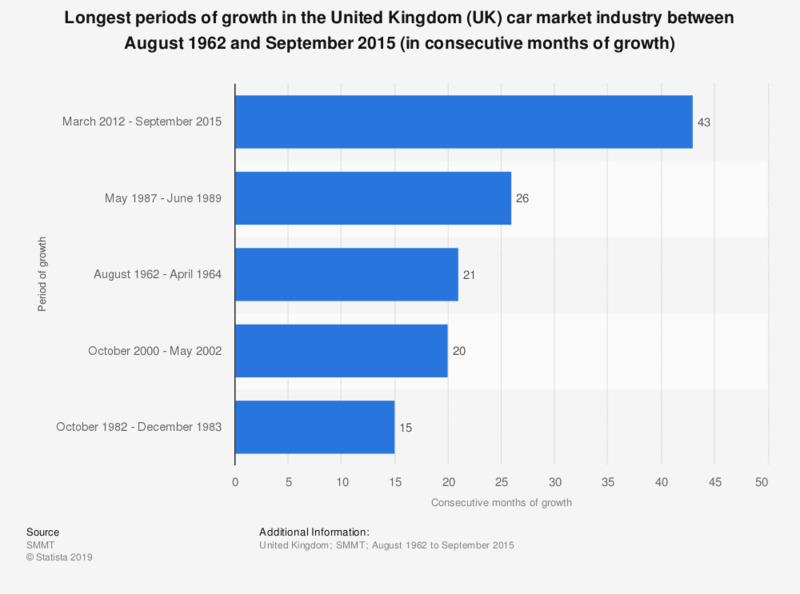 This statistic shows the five leading periods of growth in the United Kingdom automotive market since 1959. The earliest period of extended car market growth was between August 1962 and April 1964, a period of 21 months. The most recent period started in March 2012, and in September 2015, 43 months later, the market was still growing. Growth in the car market ended in October 2015, when a decline in passenger vehicle sales was observed. The original source can be found here. The source data goes back to 1959.